I have always enjoyed producing detailed drawings on a small scale, much like the botanists have done in the past as a means of recording their findings. I look on my recent drawings as such. 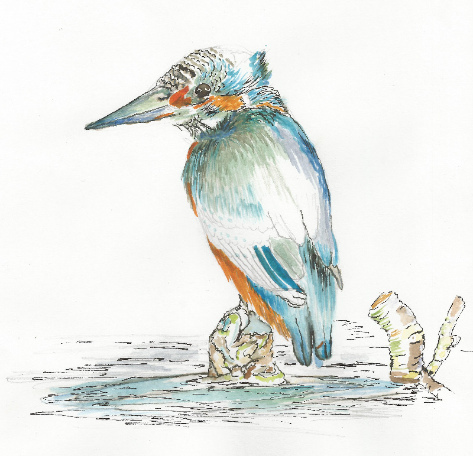 By using watercolour, Pen and Ink I have been experimenting… capturing moments and encounters whilst out and about on our rivers and canals. We live aboard our narrowboat 'Hekla' where we enjoy discovering nature, along with its history. A wonderful way to capture on paper some of the encounters we see.